The One is a new condo development by Mizrahi Developments currently in preconstruction at 1 Bloor Street West, Toronto. The development has a total of 416 units and 80 stories. 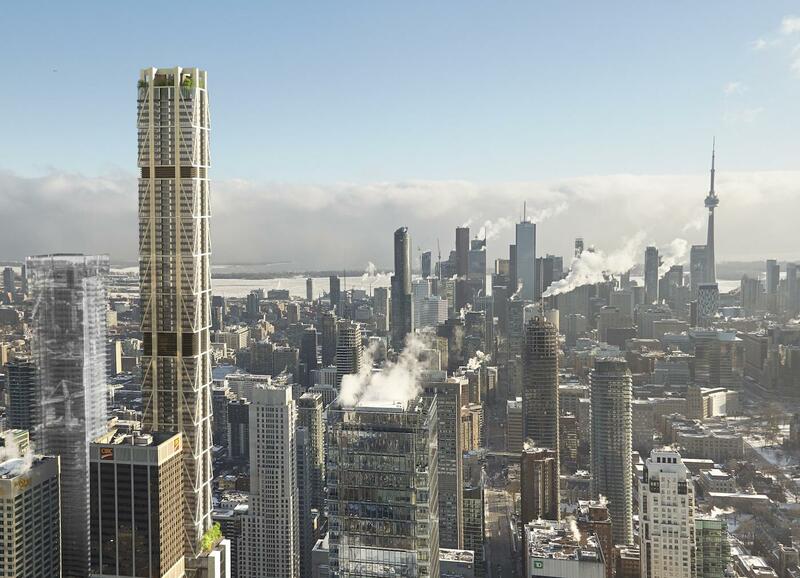 Set to be the tallest building in all of Toronto, THE ONE will be a soaring 340.6 metres of total luxury at Toronto’s hottest intersection! Fully connected to line 1 & 2 of the TTC you are steps away from all the best Toronto has to offer. At the heart of midtown Toronto, you’ll have flagship stores for high-end global brands, popular restaurants, and cultural venues, on your very doorstep. The next best thing to being part of its street energy is being able to rise above it with the press of a button. Leave it all behind and live in the serenity of the clouds in your own custom-designed sanctuary. From 580 sq. ft. To 1355 sq. ft.